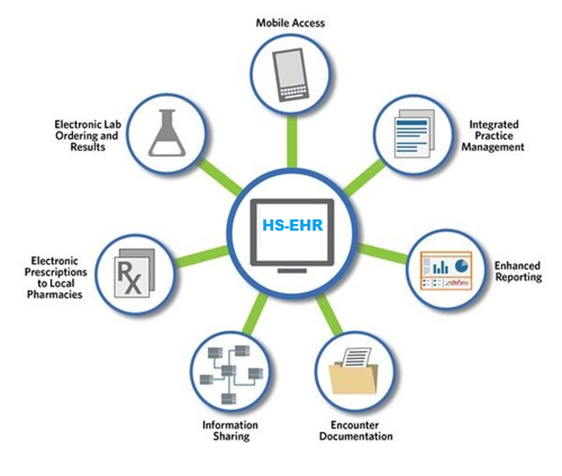 Health Square(HS)– a leading provider of medical billing services in the US – providing premium service to hundreds of practices and thousands of physicians on a local and national level. There’s a reason that most of our new business comes from referrals from other physicians – and that is the excellent support and service we give our clients. It is our mission to obtain accurate, complete and timely payment from all third party payers and patients for our clients using state-of-the-art technology, proven billing methodologies, effective control systems and highly trained staff while adhering to the highest moral, ethical, legal and practical business standards of our industry. By outsourcing, physicians do what they do best instead of focusing on administration and operations. 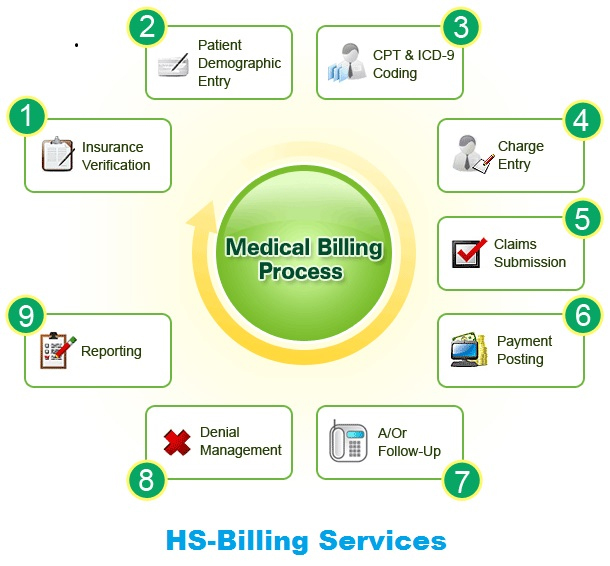 Healthcare billing is an ever more complex endeavor with the constant changes in rules, updates and compliance regulations from the insurance carriers. Add to this the ICD-10 changes coming on board and the greater efficiency of teams dedicated to nothing but medical billing and you can see why more and more physicians choose this route. Completion of credentialing applications for insurance carriers and hospitals. We also provide all necessary follow up with insurance carriers and track the application through to approval. We maintain all pertinent credentialing documentation (e.g. DEA, CDS, Medical Licenses, Board Certificates, Malpractice Insurance Face Sheets, CME’s etc. We obtain information from the provider and/or practice and enter this information into our database. Depending upon the insurance carrier most claims are filed electronically and only a few will go on paper. We provide a pre-collection service on those accounts that aren’t quite ready for full collection. The pre-collection service offers an effective and more cost-effective way to notify customers of how serious their past due account bill is – while still providing respective leniency and professionalism. Reduce your no-shows by up to 25% and free up your staff’s time. Our automated appointment reminder call service allows physicians, etc. who need to contact their patients the ability to schedule and automatically call their patients with a personalized human voice message. With our service you can dramatically reduce no show problems or last minute cancellations. Confirm patient eligibility for almost all commercial insurers instantaneously! Our comprehensive practice management system provides instant online checks for insurance eligibility across key government and commercial insurance payers. This feature eliminates the need for paper transactions and repeated calls to insurers to coordinate insurance checks. Practices using this feature are no longer concerned about lost revenue due to delays or errors in eligibility verification. Mailed out from our office on behalf of the practice or facility. The protocols of statements and collections are done specifically to client specifications. As we receive payments and explanations of benefits from clients, we post these in to our database. Each EOB will be audited for correct payment and/or benefits. Integral to increasing clients revenues, we spend much time and effort pursuing cases where a payment or denial has been made incorrectly, we challenge the insurance companies to receive the maximum reimbursement. Done on a monthly basis. Because each provider and/or practice is different, we customize our reports as needed. We provide Availity – the leading Internet-based medical claims clearinghouse that helps physician practices increase profitability through improved claims reimbursement and staff productivity. Our team of certified medical billing coders are proficient in ICD-9,10-CM, CPT, and HCPCS codes and standards, insurance and governmental regulatory requirements, and payer-specific coding requirements. Using the most advanced and sophisticated technology helps us to deliver timely services while freeing your healthcare clients from recruiting and training coding staff.